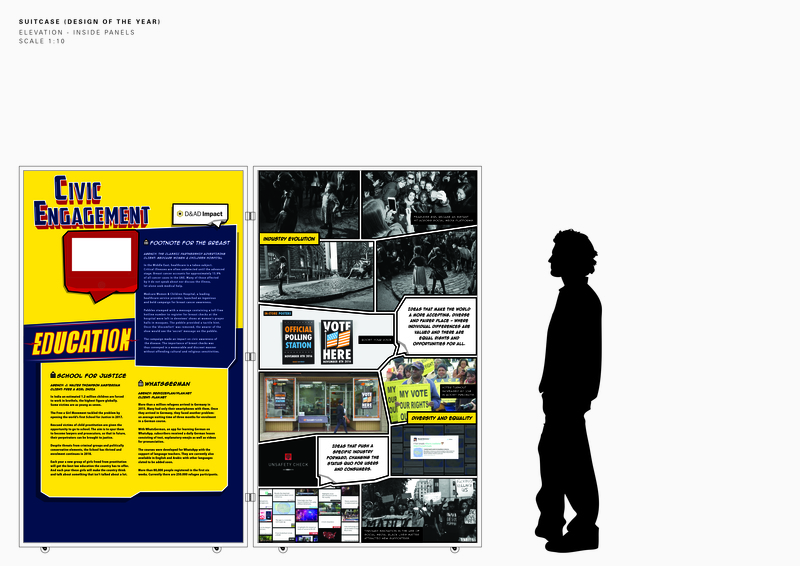 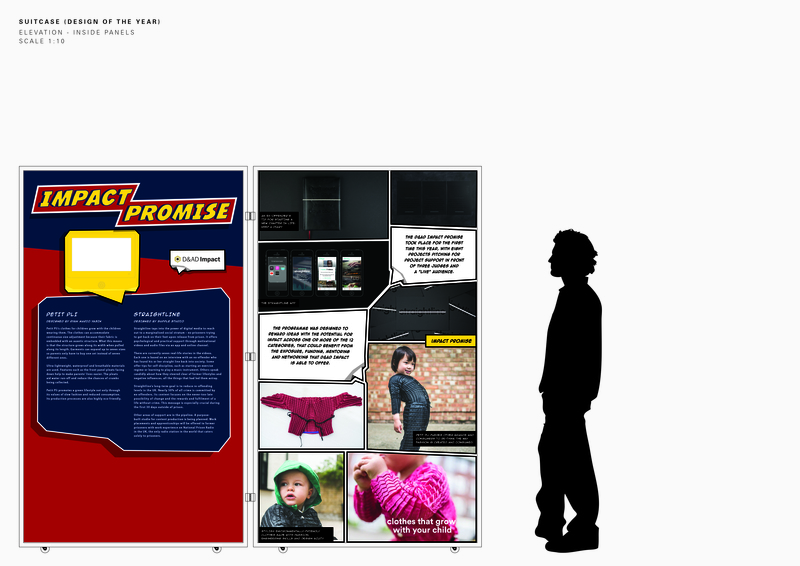 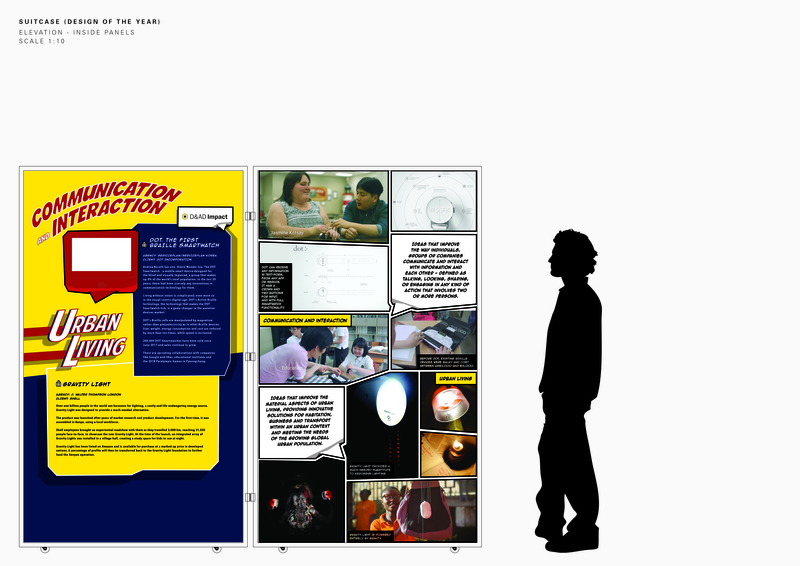 Reusing the custom form of the “suitcase” panels from previous showcases, an exciting and engaging narrative was developed with the theme of “Super Design Super Heroes”. 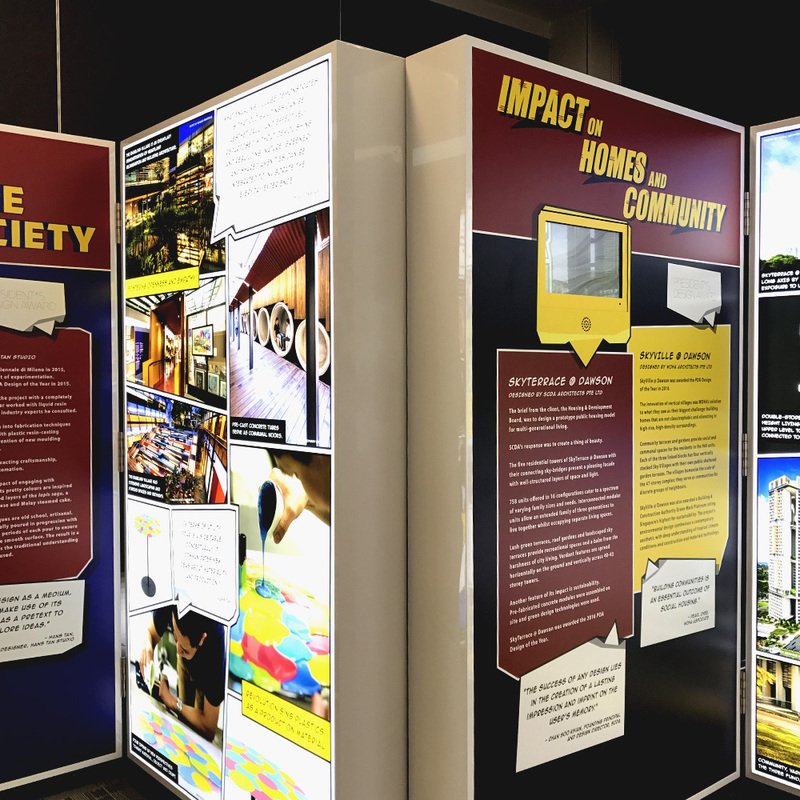 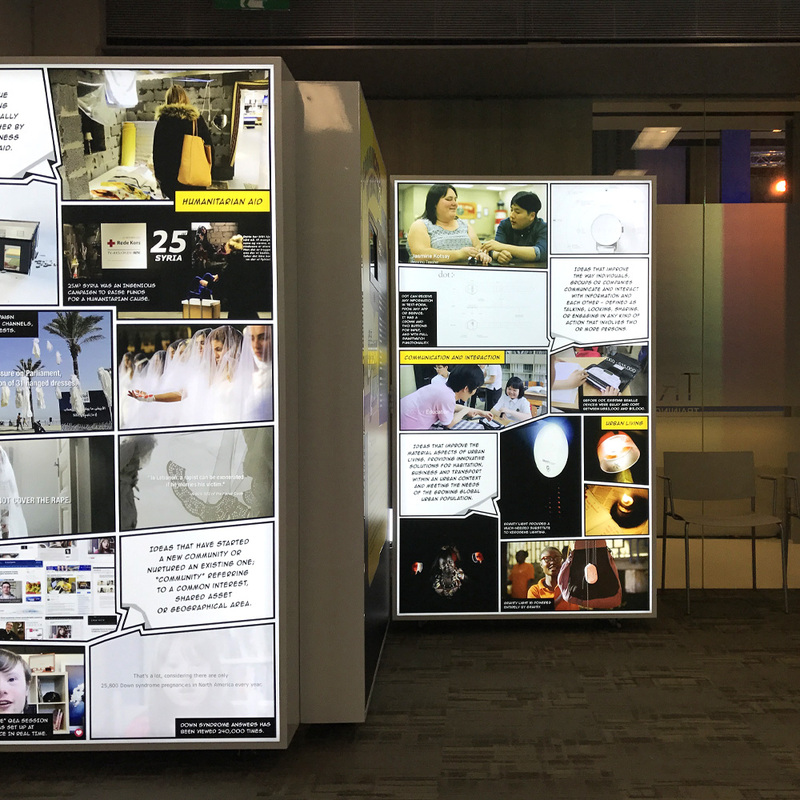 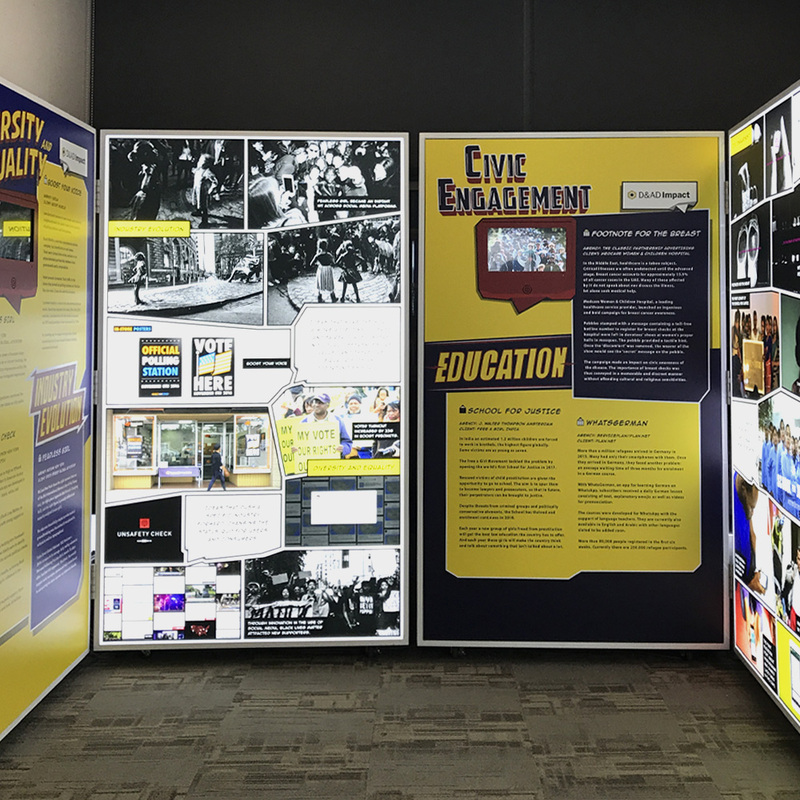 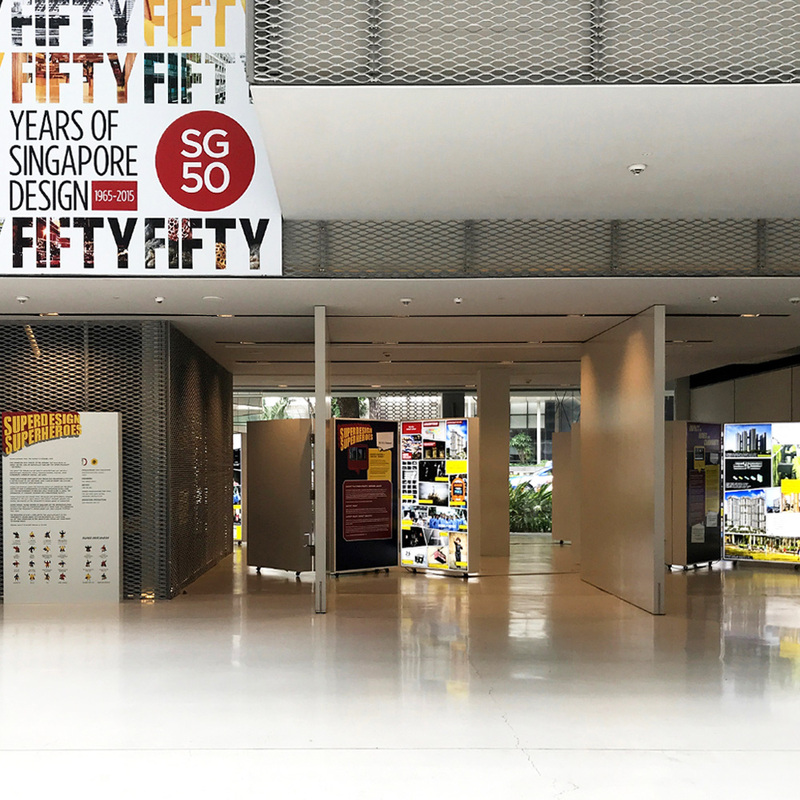 This commemorative exhibition is in line with honoring the winners of the prestigious D&AD and President’s Design Award as the unsung heroes of their communities – through meaningful and thoughtful design. 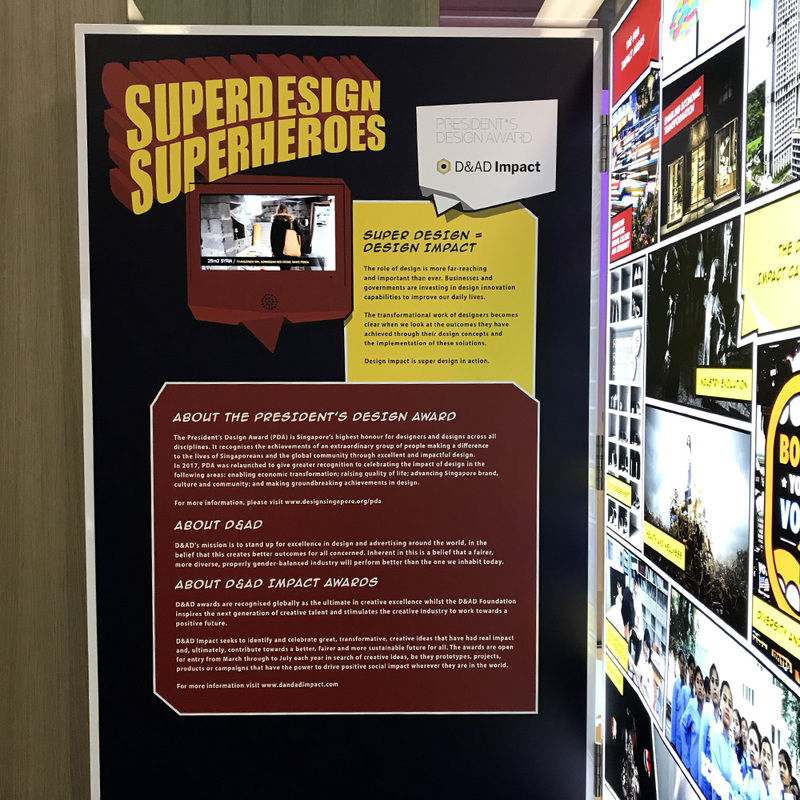 Reusing the custom form of the “suitcase” panels from previous showcases, an exciting and engaging narrative was developed with the theme of “Super Design Super Heroes”. 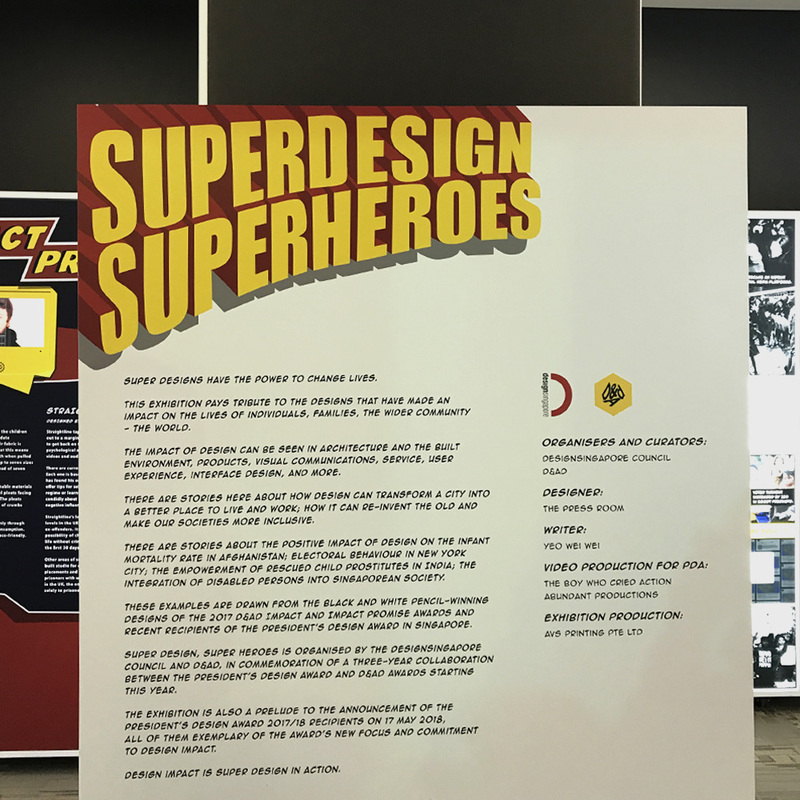 From the typesetting and curation of color palettes, to the illustrated art direction and whimsical layout of the exhibition content, vintage and nostalgic comic books familiar to the rising generation of designers were heavily referenced, allowing us to creating one-of-a-kind headers and graphical onomatopoeia that add vibrancy to the exhibition space.